As a nation, we’re becoming much safer on the roads, and it’s widely believed that the introduction of the Road Safety Authority’s ADI scheme, which regulates and monitors the skills of driving instructors in Ireland, has played an important role in facilitating this change. The RSA reports that there was a 44 percent reduction in road deaths in Ireland between 2007 and 2013 following the launch of the official ADI register, and today Ireland is one of the safest countries in Europe for driving. According to reports published by the World Health Organization, there are an estimated 4.7 road deaths in Ireland per 100,000 population. When compared to France’s 6.4, Belgium’s 8.1, Poland’s 11.8, and Greece’s 12.2, we can see how Ireland is thriving thanks to its experienced ADIs. However, we still have a long way to go, and it’s important not to become complacent when it comes to road safety. The UK is still leading the way, with 3.7 road deaths per 100,000 population, and we’re largely let down by our prominent drinking culture. 51.5 per 1000 population have been caught by the Gardai for driving dangerously due to alcohol consumption - and the figure is actually double that in County Monaghan, according to the Irish Independent. 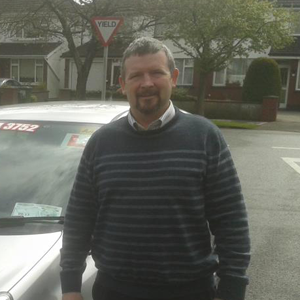 Being a driving instructor is one of the most valuable career choices, particularly for those that are dedicated to road safety, to making Ireland’s roads safer, and to reducing road traffic accidents. As a driving instructor, you are in a unique position to mold a young driver’s habits, encouraging them to exhibit safe, responsible behaviours when on the road, both now and in the future. Being a driving instructor can be likened to being a teacher - you’re in a position of power and are responsible for inspiring young and inexperienced minds. 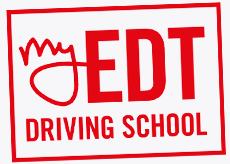 By imparting the knowledge you’ve learned, not only from your own driving instructor, from your on-the-road experience, and from your ADI training, you can play a significant role in changing Ireland’s roads for the better - something not everyone can say! There’s an old saying - ‘those that can’t, teach’ - but this is something that isn’t applicable to driving instructors. Becoming an ADI isn’t an easy process and, based on pass rates published by the RSA, it’s something that around one quarter of all candidates fail. If you’re skilled and talented enough to meet the ADI training requirements, don’t put those qualifications to waste. Use them to your advantage, become a good driving instructor, and see just how valuable it can be to help shape the future of Ireland. It’s one of the most rewarding things you’ll ever do.